The pilots’ association is not confident that Air Malta is heading for a soft landing. Pilots are unimpressed by the government’s sense of ‘mission accomplished’ after Brussels approved Air Malta’s multi-million euro rescue plan. Sounding very disappointed, Domenic Azzopardi, president of the Airline Pilots Association, said the plan was “a cover-up”. “This plan is Air Malta’s condemnation. Just like what happened in the Eastern bloc countries, Air Malta will be allowed to fail and then privatised on the cheap to some businessman two years down the line,” he said. He complained pilots had been kept in the dark on the final plan but insisted the blueprint would only give the airline a two-year lifeline. His harsh words contrasted with Finance Minister Tonio Fenech’s view that “this is a good day for the country” on Wednesday, when Brussels gave its green light for state aid to save the airline. Other unions represented at Air Malta also had mixed feelings, with the engineers’ union being the only one to say it had seen the final plan submitted to the Commission. He said some information could not be divulged in public for commercial reasons but said unions would be informed of the details at a meeting on July 13. “We have a robust plan... there is hope on the horizon. We have overcome a significant hurdle and in my view we have arrived on the pitch and now we can play,” Mr Davies said. The EU Commission has accepted the government’s request to inject €130 million into the airline and buy back the company’s property for €66 million. Mr Azzopardi said his union was disillusioned because nothing had changed since last year, when the government promised that action would be taken on cargo rates and third party contracts. “Cargo rates are still cheap and contracts with third parties, including Malta International Airport, have not been reviewed. “It is as if Air Malta is subsidising other businesses at its own expense,” he said. Air Malta makes no difference in cargo rates charged for books and radioactive equipment, Mr Azzopardi said. 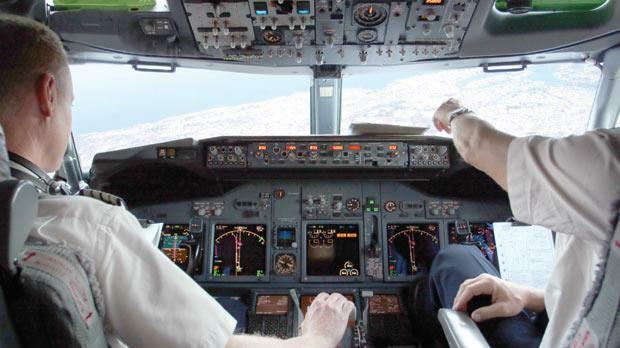 Last year pilots were on the verge of going on strike and grounding Air Malta’s fleet. Industrial action was averted at the last minute after Prime Minister Lawrence Gonzi met pilots’ representatives at Castille. Mr Azzopardi emerged from that meeting saying he believed the Prime Minister would deliver on the promise to address pilots’ concerns. “We will remain vigilant and we expect to hear how airport charges have been reduced and other contracts renegotiated,” he said. Pilots were demanding that the airline cut peripheral costs, which ran into millions , before turning to their employees for sacrifices. They also wanted growth to come from a wider route network but instead the airline has reduced its coverage as market compensation for the state aid it received. But almost a year later the mood has changed and pilots believe the airline will eventually nosedive into oblivion. “The government seems to be subservient to a clique of businessmen who have lined their pockets by milking the national airline and these interests have not been touched,” Mr Azzopardi said. Mr Mercieca said little had changed since last year when various concerns were flagged by the unions. The cabin crew union had also suggested new revenue streams from in-flight services, which the airline never implemented, he added. Another grievance concerned the vacancies for full-time cabin crew issued by the airline after having reduced the staff through early retirement schemes. “It makes little sense to me,” he said. General Workers’ Union general secretary Tony Zarb said his union was satisfied with the EU Commission’s approval but hoped that more information would be made available. “God willing, we will know what plan Brussels has approved and, God willing, the plan will save Air Malta so that workers will not pass through the turbulence they have endured over the past two years,” he said. On a more upbeat note was John Baptist Camilleri, public relations officer for the Union of Airline Engineers, who said the approval was “positive” development. “We saw the report and also signed a non-disclosure clause. We read through it and also suggested some changes. We were involved,” he said.